In the furor over high drug prices, both Congress and the media have largely focused on the role played by drug companies such as Turing Pharmaceuticals, Valeant, and Mylan. Another contributor — pharmacy benefit managers and the rebates they get from drug companies — is only now getting the attention it deserves. Pharmacy benefit managers serve as intermediaries between the plan sponsor, such as an insurance company, and pharmacies. They determine which pharmacies will be in the plan’s network, develop the formulary (list of covered medications), and negotiate price rebates with drug manufacturers. Manufacturers provide these rebates in exchange for having specific medications listed on the formulary. It’s all perfectly legal. Yet the non-transparent nature of these arrangements makes it difficult to know what percentage of these rebates are passed on as savings to plan sponsors and how much is kept by the pharmacy benefit manager. In a hearing before the House Committee on Oversight and Government Reform, Representative Earl “Buddy” Carter (R-Ga.), the only pharmacist currently serving in Congress, pressed Mylan CEO Heather Bresch on how much her company paid in rebates to pharmacy benefit managers. She could not provide an answer, so it remains unclear precisely what portion of the high list price of Mylan’s EpiPen is attributed to these rebates. 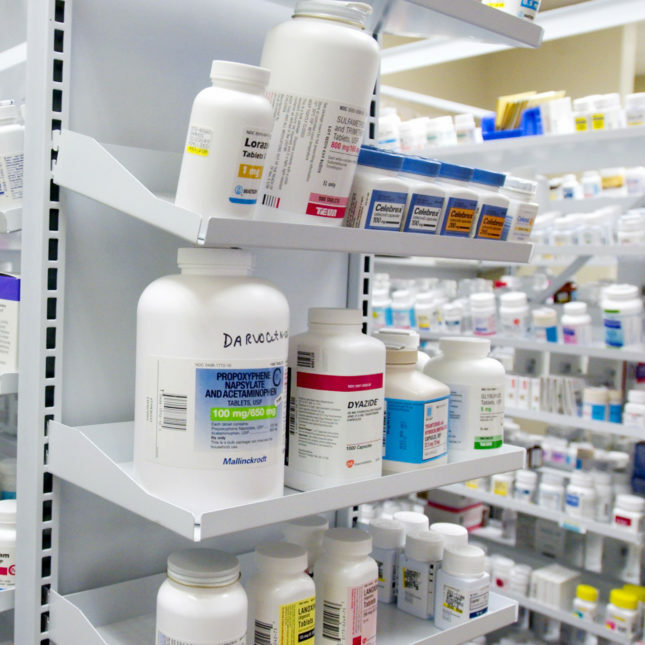 The National Community Pharmacists Association and independent pharmacists around the country have been raising concerns about the non-transparent nature of pharmacy benefit managers and their contributions to higher drug prices for several years. Practices such as “rebate pumping,” which means favoring higher-cost drugs on a formulary to increase rebates, and “spread pricing,” in which the pharmacy benefit manager charges the plan sponsor a higher cost than what is paid to the pharmacy, can lead to higher costs for the plan sponsor which in turn can increase premiums and copays for patients. Since the House hearing, others have taken interest in this subject. Publications such as the Columbus Dispatch, Business Insider, and STAT have begun spotlighting how pharmacy benefit managers may be influencing the rising costs of prescription medications. Take, for example, Nexium, a commonly used heartburn drug with a generic alternative. A month’s worth of the generic version could cost as little as $25, while the same quantity of the brand-name version could cost as much as $700. Yet some pharmacy benefit managers continue to favor the more costly brand. As Business Insider noted, Nexium’s manufacturer, AstraZeneca, had to pay a fine of $7.9 million in 2015 after allegedly paying kickbacks to a pharmacy benefits manager, Medco Health (now Express Scripts), for keeping Nexium on its formulary. The Columbus Dispatch explored another questionable practice called consumer copay “clawbacks.” They work like this: A pharmacy benefit manager requires a pharmacy to collect from a patient a copay for a specific medication that is set by the pharmacy benefit manager. If the patient copay imposed by the pharmacy benefit manager is higher than the ultimate reimbursement to the pharmacy, the pharmacy benefit manager requires the pharmacy to send it the excess copay, keeping it as profit. In some cases, the patient could pay less if they paid for the medication directly instead of using their insurance. However, many pharmacy benefit manager contracts contain “gag clauses” that forbid pharmacies from voluntarily informing patients what the cash price would be if the patient did not use insurance. Patients have to ask, but most don’t know that they should. All of this needs to be examined by Congress and others for the potential effects on overall drug prices. Further, it begs for more transparency to help ensure that consumers and plan sponsors are not being overcharged. The National Community Pharmacists Association recently wrote to the chair and the ranking member of the House Committee on Oversight and Government Reform requesting a hearing to explore these questions. The recent disclosure by Express Scripts, the nation’s largest pharmacy benefit manager, that it had received subpoenas from the Department of Justice as well as US attorneys in New York and Massachusetts seeking, among other things, information related to its relationship with pharmaceutical companies, should raise additional concerns for the committee. Voters have ranked the cost of prescription medications as the most important health care issue Congress should address in 2017. Answers to questions about pharmacy benefit managers and their contributions to rising costs would help lawmakers properly address this issue. Greater transparency from pharmacy benefit managers would be a good place to start. B. Douglas Hoey is a registered pharmacist and chief executive officer of the National Community Pharmacists Association. Don’t forget those drug discount cards using the same pharmacy benefit managers as your insurer uses. In some cases, like OptumRX, the insurer, United Healthcare owns the PBM and it’s their highest revenue producer right now compared to each insurance group of which there are 3. I wrote this post and included videos from a pharmacist that tells you how it is. It’s all done with math business models that are very complex, so nobody sees the whole picture when filling a prescription. Mr. Hoey lobbies for independent pharmacy owners, which operate very small (<$4 million) businesses. Doesn't anybody find it odd that these pharmacists have decided to be the altruistic, self-appointed guardians of large insurance companies, big corporations, and the U.S. Federal government? This editorial conveniently omits the fact that pharmacy owners have a strong self-interest in weakening the PBMs and payers that negotiate prescription reimbursements. <$4 million may seem small to you, Mr. Fein. However, in many/most of the rural areas that our tiny and insignificant businesses serve, we are a vital and vibrant part of the community. Money made here is spent here. Local schools are supported by our businesses. Vulnerable Hospice and Nursing home patients are cared for because of us. Do I have a self-interest in making sure that I get paid more than I spend? Absolutely. That is why I took the risk to run my business. However, the model is broken and doesn't work well. When is the last time you went to buy shoes and paid a $2.40 co-pay for them while the shoe retailer waited 4-6 weeks to be (under)paid by their competitor [who happens to also set the reimbursement rate (differently for themselves I might add)] for the remaining balance? The answer, simply, is never. I would also ask for you to explain to me how/why I would want to "weaken the payer"? I do feel that the PBM industry could go away. In our current healthcare model, however, I certainly need the actual payer. Could you provide me with more info on that?